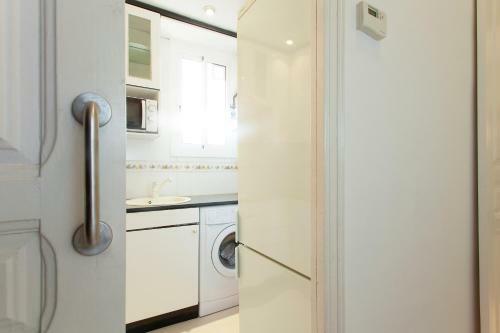 Apartment Lepanto offers accommodation in Barcelona, 300 metres from Sagrada Familia. The property features views of the city and is 1.6 km from La Pedrera. Free WiFi is available throughout the property. 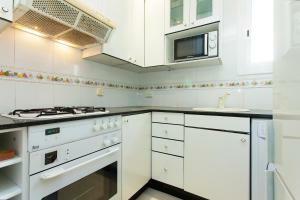 The kitchen features an oven, a microwave and a toaster, as well as a coffee machine. Towels and bed linen are featured in this apartment. Casa Batllo is 1.7 km from Apartment Lepanto, while Plaça Catalunya is 1.9 km from the property. Barcelona El Prat Airport is 14 km away. This apartment features a toaster, sofa and oven. Rate: € 190.00 ... € 236.00; select dates below to get current rates.